Wonder Boy in Monster World © 1993 Sega Enterprises, Limited. 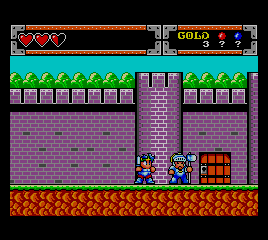 Wonder Boy in Monster World for the Sega Master System was released in 1993 in Europe. It was re-released as a Classic edition later that same year.